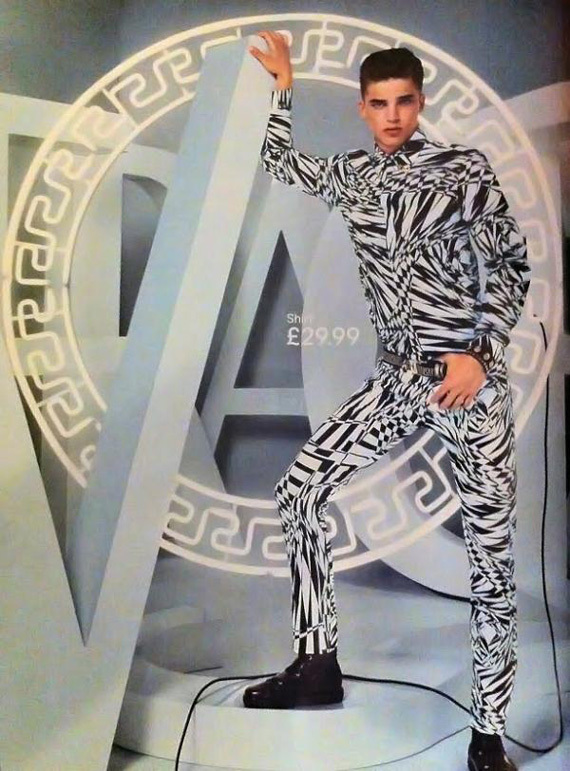 A few images have been surfacing on the upcoming H&M X Versace collection. 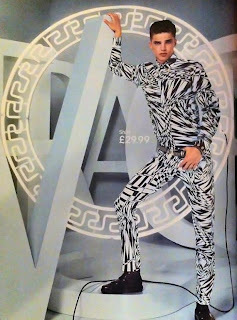 Like the womenswear collection, the pieces look very Versace and incorporate bold colors, graphic prints and embellishments. While I like the pieces from what I see so far - they're not really my style. Hopefully there will some cleaner/more subdued items available. While I'm digging the cut of the suit above, I don't really know many people who would be able to pull off head to toe fuchsia. 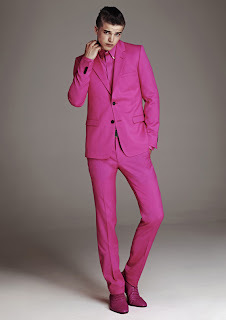 If the suit comes in black - I'd be all over it.